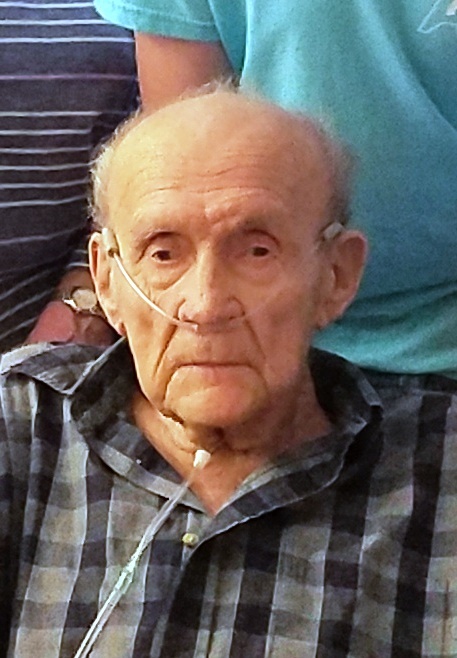 Billy E. Sanderson, age 85, AL passed away on January 30, 2019. Billy was a native of Hamilton, AL. He enjoyed going to the lake fishing and hunting. His favorite past times include, watching old westerns and sitting outside on his front porch. Billy was true outdoorsman. He loved children, especially his grandchildren and great grandchildren. He was preceded in death by his parents, Elbert and Adele Sanderson; his brother, Jimmy Sanderson and sister, Charlie Mae Williams. He is survived by his three daughters, Gayle Tyler (Mickey), Glenda Hutson (Wayne) and Anita Osborn (Buddy); his six grandchildren, April Hutson, Stefanie Phillips (Jonathan), Tracy Gundy (Gary), Nicholas Hutson, Phil Tyler (Becca), and James Hutson; ten grandchildren, Bryant, Blake and Brianna Gundy, Guy and Ashlyn Tyler, Zachary Hutson and Cody Hutson-Bonifacius, Noah Hutson, Kaselyn White and Aria Osborn. He is also survived by two brothers, Kenneth Sanderson and Tommy Sanderson (Barbara) and one sister, Olene Lucas; numerous nieces and nephews. The funeral service for Billy will be held at Jefferson Memorial Funeral Home in Trussville at 2:00 p.m. on Saturday, February 2nd with visitation held one hour prior. The burial will immediately follow the chapel service at Forest Hill Cemetery 431 60th St. N. Birmingham, AL 35212.